Quality of software has become an important issue with the increasing integration of software in various aspects of human society. Today’s software are very complex and they are deployed in a wide variety of execution environments and application domains. 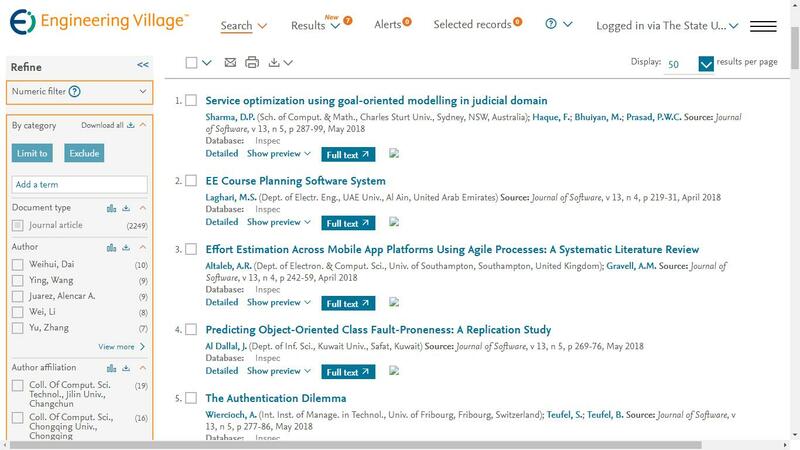 Both academia and industries are focusing on the research in software applications as many of our complex systems are software controlled, which motivated the publication of the current Special Issue in software. This Special Issue presents selected papers from the twelfth conference of the series (ICCIT 2009) held during December 21-23, 2009 at the Independent University Bangladesh. The first one was held in Dhaka, Bangladesh, in 1998. Since then the conference has grown to one of the largest computer and IT related research conferences in the South Asian region, with participation of academics and researchers from many countries around the world. Starting in 2008 the proceedings of ICCIT are included in IEEExplore. In 2009, a total of 473 full papers were submitted to the conference of which 150 were accepted after reviews conducted by an international program committee comprising 84 members from 16 countries with assistance from 83 reviewers. This was tantamount to an acceptance rate of 31.7%. Form these 150 papers only 9 highly ranked papers were invited for this Special Issue. The authors were invited to enhance their papers significantly and submit the same for review. Of those only five papers survived the review process and have been selected for inclusion in this Special Issue. The authors of these papers represent academic and/or research institutions from Bangladesh, Japan, and Norway. These five papers cover three domains of computing namely, data exchange, data search, and software development and engineering. In the first paper of this Special Issue, S. Karim proposes a data-exchange algorithm that produces semantically correct maybe answers to simple relational algebra queries over target schemas of data exchange under the closed world assumption. Given that there may be infinitely many maybe answers, he uses compact representation to compute possible (i.e., maybe) answers incrementally. The algorithm is then implemented for a fragment of relational algebra.